Florint » Mere months until Eurofleurs 2017 – the European Championship for Young Florists! Mere months until Eurofleurs 2017 – the European Championship for Young Florists! The city of Sint-Truiden, Belgium, will host the 2017 European Championship for Young Florists from September 15 to 18. The continent’s best floral arrangers under the age of 26 will put their craftsmanship on display, for all to enjoy! Will you come and see tomorrow’s stars be born? •	Eurofleurs 2017 is open to the public. Everybody with a love for floral arrangement is invited to attend the championship on the two contest days: September 17 & 18! •	Enrolments for Eurofleurs 2017 ends June 14. Florist associations who desire to register a competitor but have yet to do so: please do so now. •	Updated competition regulations are hereby made available. They contain all the task descriptions and clarify a few ambiguities. Please download them by clicking here. •	A Questions & Answers session has been organised in response to inquiries from competitors and other involved parties. In case you have a question that you believe isn’t answered by the competition regulations, please see the Q&A here. •	The city of Sint-Truiden is close to Alden Biesen – Bilzen, where Fleuramour, Passion for flowers takes place from 22 – 25th September. Combine your visit to both spectacular events! 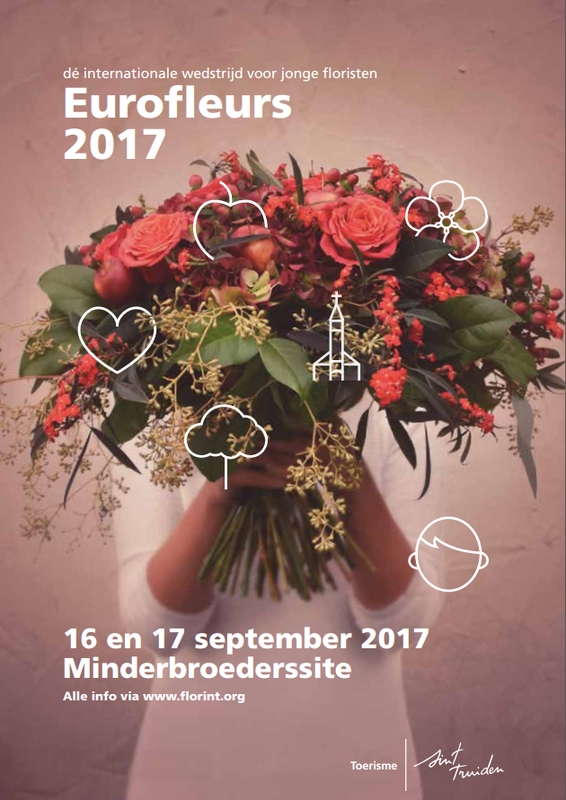 The European Championship for Young Florists 2017 will take place at the monumental ‘Minderbroederssite’ in Sint-Truiden, in Belgium’s Northeast. The contest is being organized by the Royal Union of Belgian Florists (KUFB/URFB), the Belgian member association of International Florist Organisation Florint. Florint organises the European Championship for Young Florists since 1998, every 4 years on average. This is the 6th edition. Like the Europa Cup, for senior florists, a competition like Eurofleurs stimulates the creativity and skills exchange among floral arrangers, which we value tremendously. Moreover, the championship promotes the flower industry and floral arts to the public, something the entire sector benefits from. One young florist from each of Florint’s member countries can take part in the European Championship for Young Florists. The contestants are nominated by the national florist associations, the members of Florint. In exceptional situations, a floral arranger from a non-member country may also be permitted to take part. This is decided on a case-by-case basis.